At the age of 50, I semi-retired from traditional employment and transitioned to being a full-time artist. 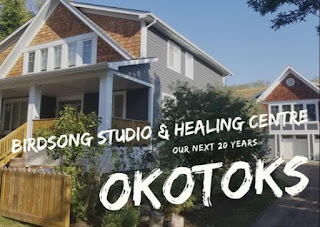 I have the pleasure of spending every day in Birdsong Studio doing what I love. This blog was started almost a decade ago as a public accountability mechanism for a weight loss intention. It has grown into a number of different directions over the years. I hope you enjoy it. My prompt yesterday morning for Day 3 of my 18 Day Painting Challenge was "a childhood hero of yours". I could have thought heavily about this one. Instead, I went for the first name and image that came up, and honoured the hero that consumed much of my youth. I may not watch hockey anymore, or follow the stats of my favourite players and teams, but in the 1970s it was a different story. I followed the NHL and its stars as closely as I could with the information I could glean from hockey magazines, newspapers and of course, Hockey Night in Canada. I collected hockey cards and just like most Canadian kids, spent hours in the winter playing road hockey. "Car!" one of my friends would yell, as both goalies picked up the nets and pulled them out of the way. Play always came to an automatic halt when that call to action was uttered. Whether the road was packed down solid, or enveloped in a light blanket of snow; whether puddles of water were forming or the temperature was sub minus 30; we played all the time, in all conditions. The games would happen on Second Street in front of our house. I have no memory of how or why that happened, but ours was a gathering place for young kids, and getting a game going never seemed to be a problem. Most of us did this thing where we would assume the names of our favourite players. The competitive spirit was intense as we played for hours at a time using whatever equipment we had lying around: patched together hockey sticks, rubber pucks, and two nets that Mom got for us one Christmas (before that we would mark out the goals with chunks of snow). 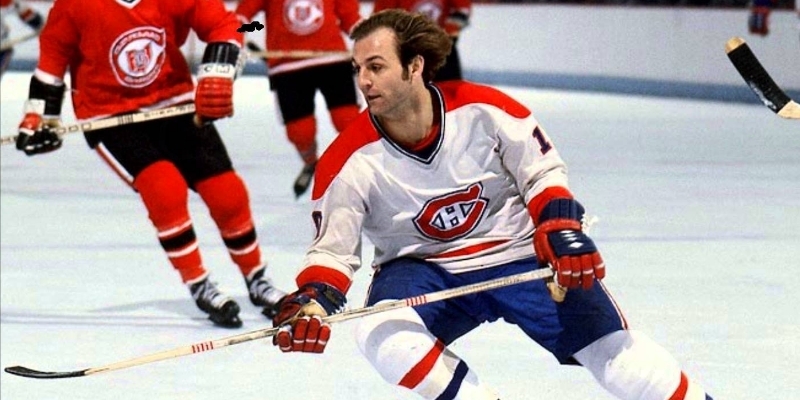 Guy Lafleur seemed like elegance or royalty when we watched him on television. 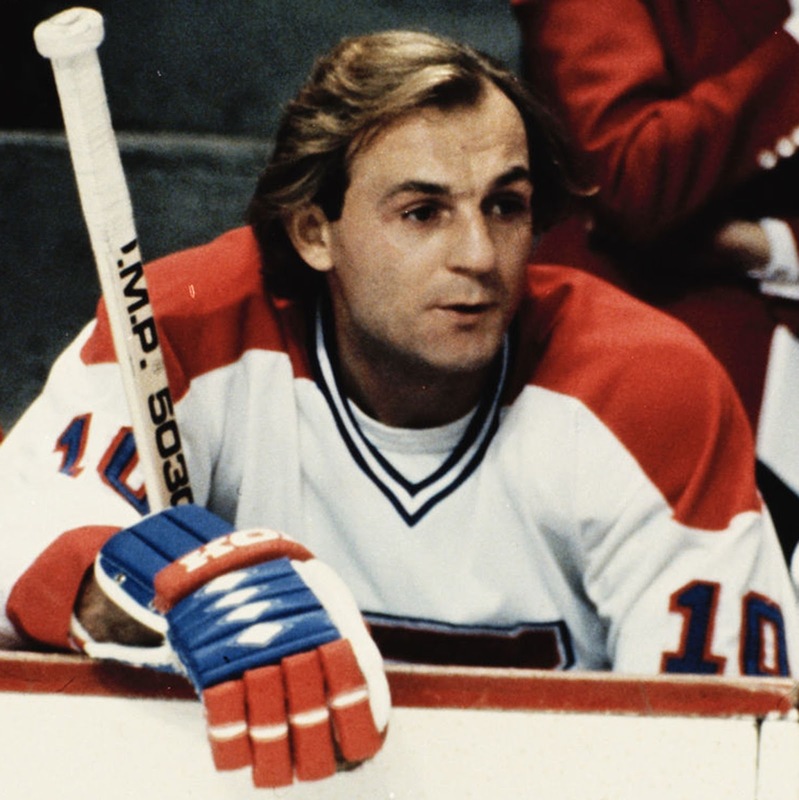 His golden locks seemed to float in the air as he flew down the ice. He had some unforgettable years back in those days and won many awards and more than a few Stanley Cups. 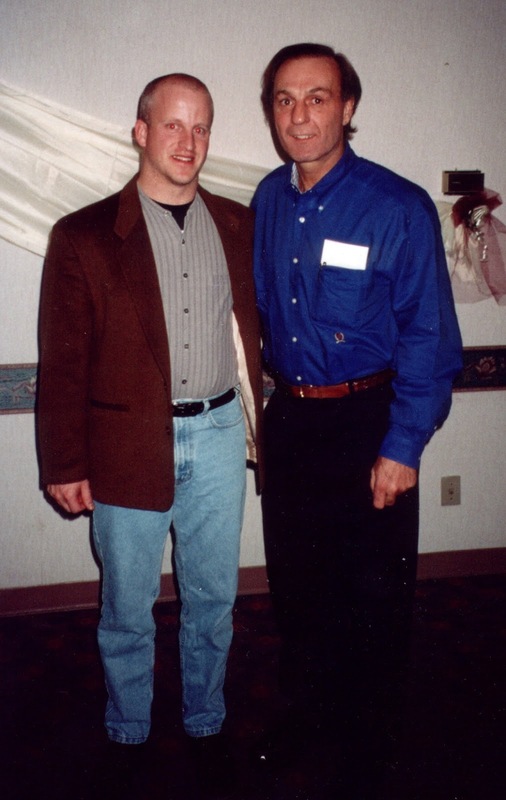 I was able to meet Guy Lafleur some years later during my radio career. It was a surreal moment to meet someone who loomed so large when I was a boy. It took me quite a bit of time to sketch out Guy's portrait yesterday and as the time approached 9 am I knew that I wouldn't be able to finish. I decided to take the project into overtime and spent an additional hour putting in the finishing touches. This a 16" x 16" original painting and available for purchase. All proceeds from the sales of works done as part of my 18 Day Painting Challenge will be used to sponsor a house for a needy family in Cambodia in November 2018 with Bracelets 4 Buildings. If the painting doesn't sell at its regular price, it will go into an auction at the conclusion of the challenge. 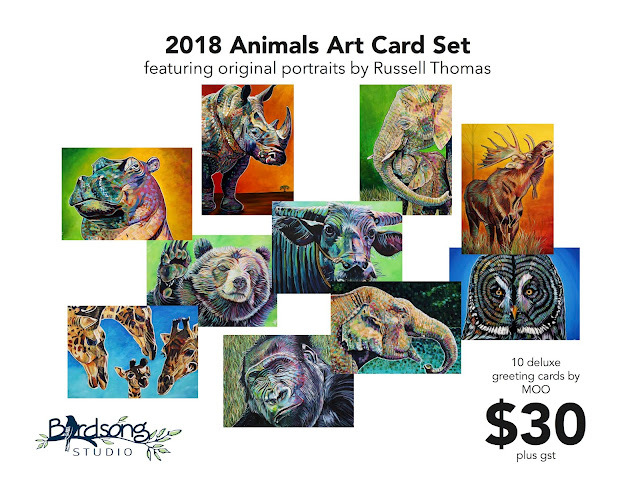 If you're interested, just connect via the Russell Thomas Art Facebook page, or send me an email at russell.thomas@birdsongconnections.com. Alternatively, you can send me a text at 780-881-3752. What is it about Tesla?